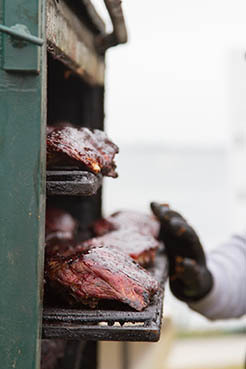 country as they compete for the title of West Coast’s BEST BBQ. 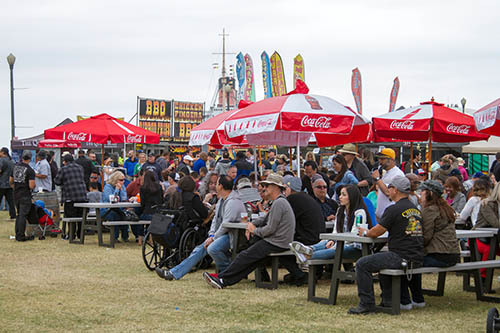 [Long Beach, Calif.] – The Queen Mary welcomes back the 5th annual West Coast BBQ Classic (WCBC) for a finger lickin’ afternoon full of barbeque grillin’ on Saturday, May 14 from 11 a.m. to 6 p.m. 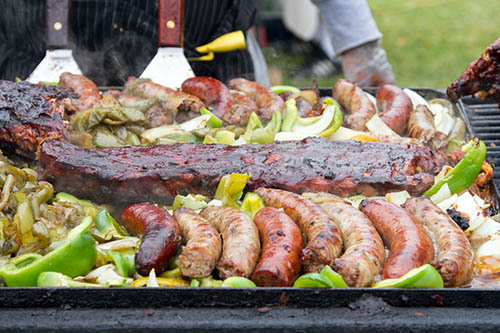 The WCBC invites barbeque experts and amateur grill masters to take part in a classic showdown that will leave your taste buds filled with the unmistakable sweet ‘n smoky flavors of BBQ. General value pack tickets are $20 each through April 30 and include event admission plus five tasting tickets and access to the Queen Mary ship. After April 30 tickets increase to $25. VIP value pack tickets are $35 through May and include one-hour early event admission plus five tasting tickets and access to the Queen Mary ship. After May 1 tickets increase to $40. Event parking is $15. 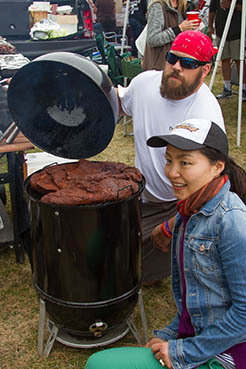 For more information and to purchase tickets to the 5th annual West Coast BBQ Classic visit http://queenmary.com/events/west-coast-bbq-classic. Located in the Port of Long Beach, the Queen Mary features a rich maritime history, authentic Art Deco décor, and stunning views of the Pacific Ocean and Long Beach city skyline. At the time of her maiden voyage in May of 1936, she was considered the grandest ocean liner ever built. The Queen Mary’s signature restaurants include the award-winning Sir Winston’s and Chelsea Chowder House & Bar as well as a weekly Champagne Sunday Brunch served in the ship’s Grand Salon. History buffs enjoy the ship’s museum and Glory Days tour, guests of all ages love the Ghosts and Legends show, and the ship is currently featuring the renowned Diana: Legacy of a Princess exhibit and Tea Room. The Queen Mary features 80,000 square feet of event space in 14 remarkable Art Deco salons as well as a tri-level, 45,000-square-foot Exhibit Hall. The Queen Mary boasts 346 staterooms including nine full suites. For more information or for reservations, see www.queenmary.com or call (800) 437-2934. The Queen Mary is located at 1126 Queens Highway in Long Beach.